Age: 1887, Serial No. 38, Bed size 10" x 15"
Mr. A. Olmesdahl, the manager of New Champion Press Co, presided over a press that had among other things many copiers and in a bitter competitive environment. 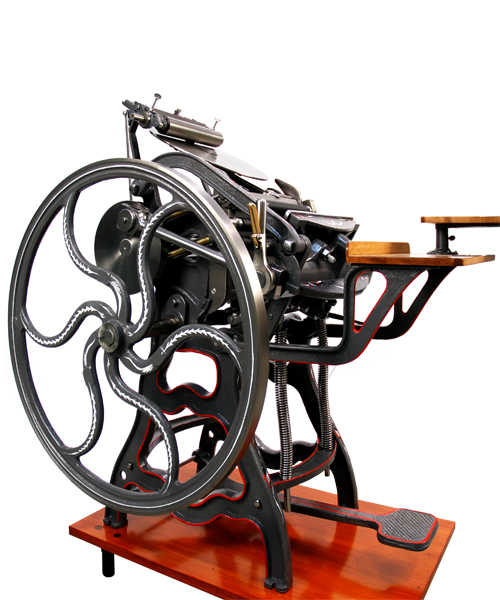 For by this time, George Gordon had solidified the platen business with his now famous old style platen and later in 1872, the new style. 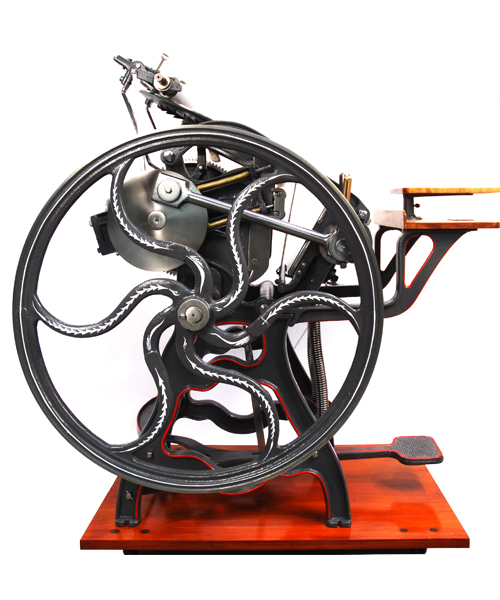 But, there was a constant appetite for machinery as printing grew rapidly thanks in part to Ottmar Mergenthaler and his amazing Linotype in 1886. 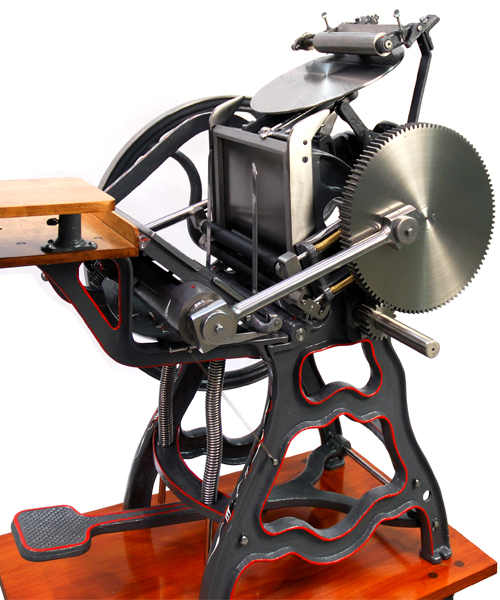 Press builders either made facsimiles of the old style Gordon, or as with New Champion, simplified the platen closure by eliminating the cam. In so doing, a cheap alternative could sell for well under the better engineered Gordon. 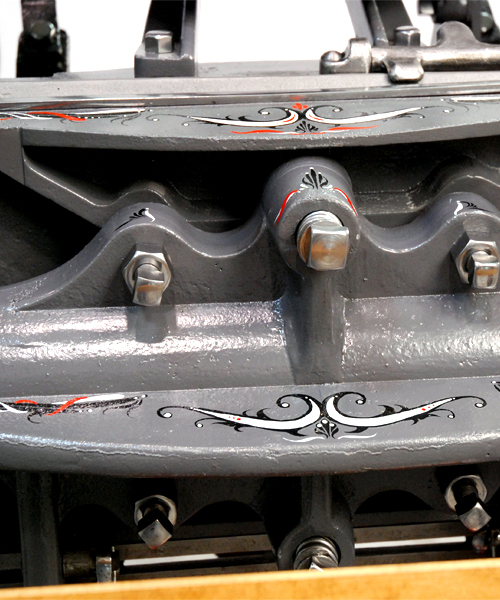 The Samson, Dauntless, Thorp-Gordon and Lightning presses were all very similar in construction to the Champion. Who was first? Hard to say. All were made by different makers. 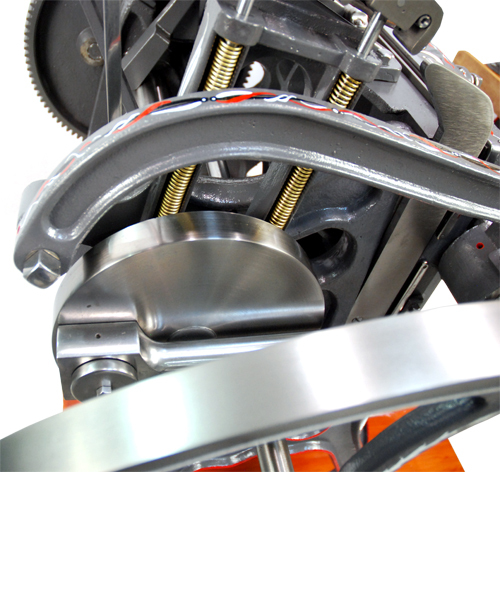 Our press has an extended drive shaft which was provided for steam power if the printer had that luxury. 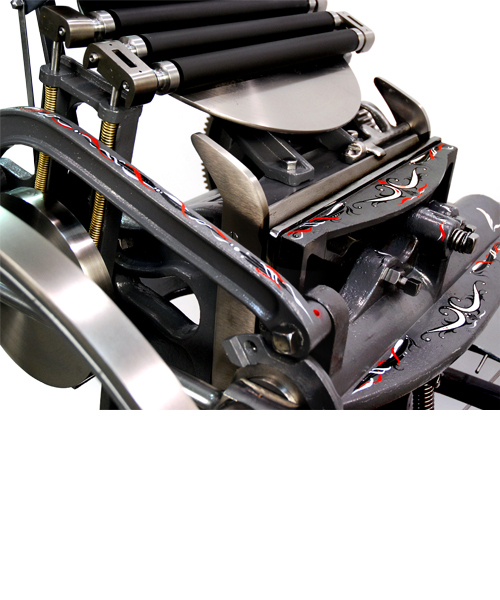 If not, the press was foot treadle operated. We are fortunate to have a full size ink fountain as well.